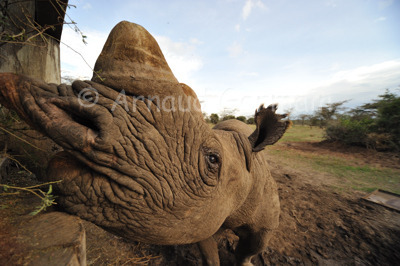 Baraka is a blind black rhino bull who lives in a fenced area in Ol Pejeta Conservancy. People can come and feed him as he is relatively tame. I have always wanted to use my wide angle lens on a rhino and this was the perfect opportunity. Next time, I will have to see if it is possible to take the shot from lower down!